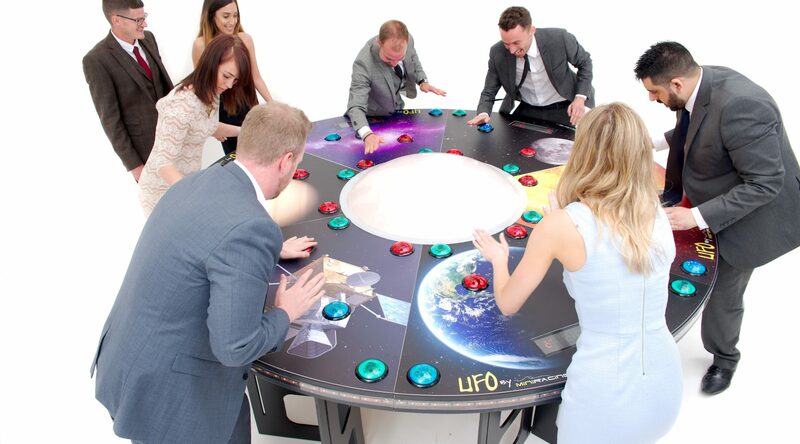 For the ultimate out of this world experience why not try the UFO? 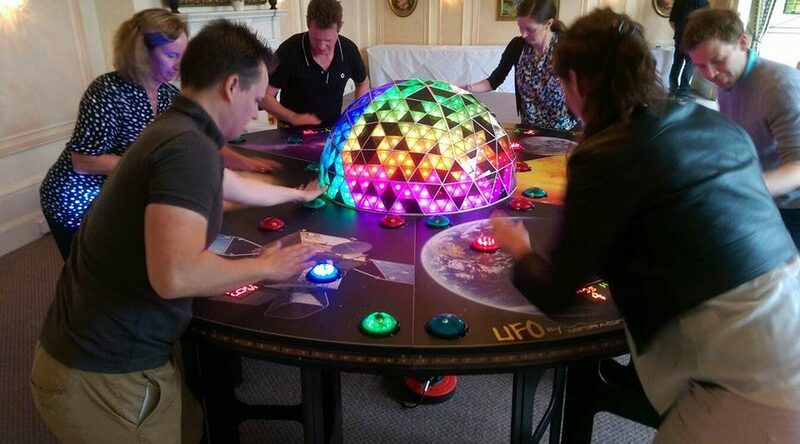 This 6 player game tests your reaction and speed using over 35 multicoloured LED lights. The concept is simple; hit each light as soon as it illuminates and win a point, but hit a light when it’s not lit up and lose that point. The player with highest score when time is up wins! 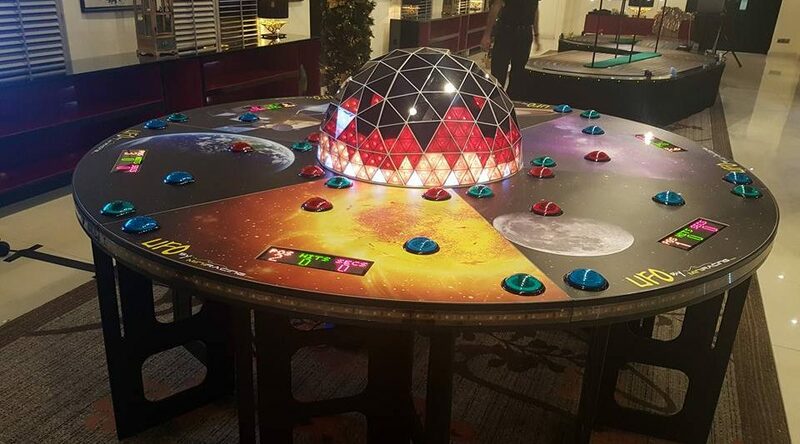 With its extraterrestrial aesthetics and large circular ‘UFO’ shape in which players’ boards accumulate at one central dome, this game allows players to go head to head to achieve first place. 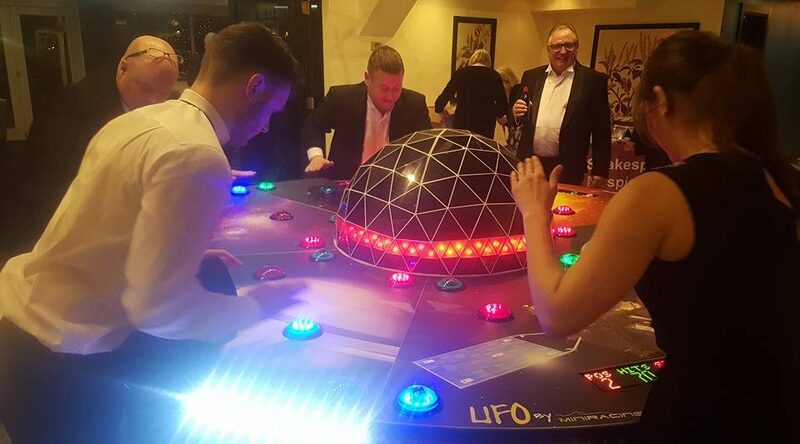 If you’re looking to bring truly energetic entertainment to your event then UFO is sure to push your guest’s agility to the limit. Simple to play, impossible to stop! >6 players go head to head competing for the highest score. >Includes Electronic scoring, to heighten then competitive fun. > 2.5 Metre Diameter x 0.9 Metre High. 2.5 Metre Diameter x 0.9 Metre High. Yes, although UFO can be played by anybody! Hand to eye coordination, reaction time and stamina are all tested by this game. A maximum of 6 at any one moment. A light-hearted competition, but a competition nonetheless! 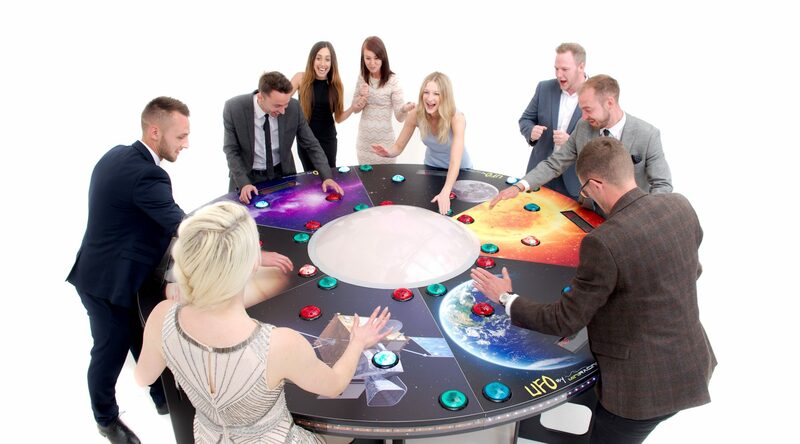 Up to 6 players compete against each other for the fastest reaction time. 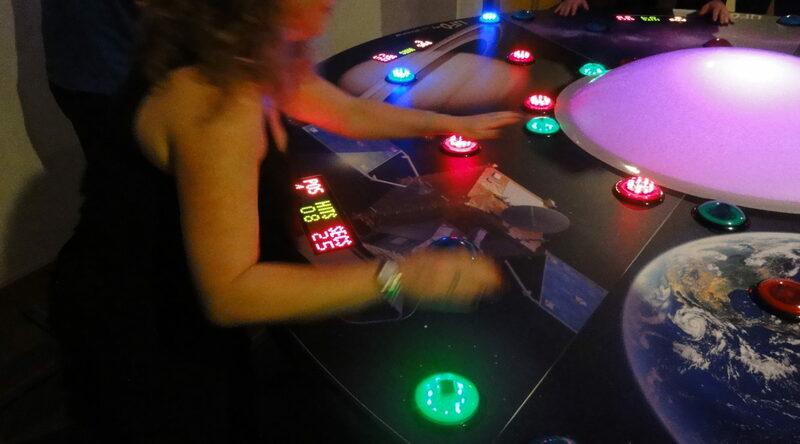 Each player’s score and group position is shown by an LED display. It can even be used by just one player, competing against the clock to set a score. This game provides exciting, large scale branding opportunities. 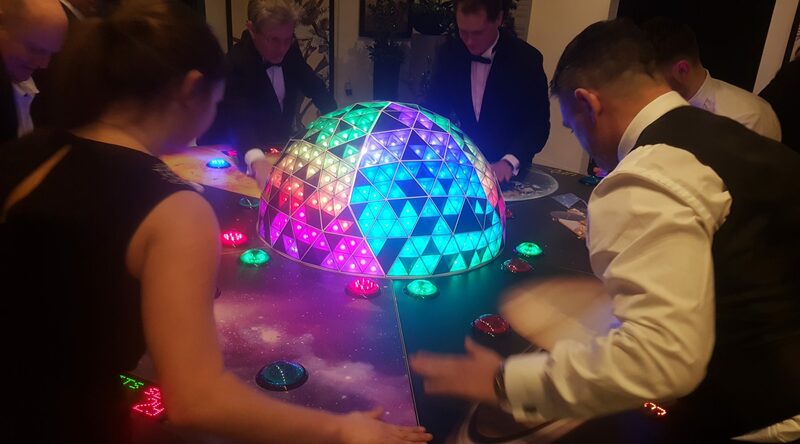 The space themed boards can be changed to suit your requirements. The excitement and visual spectacle that this game generates always draws in spectators taking photos and videos. Therefore this game provides an exceptional platform from which your branding can be shared. Do we need to run it or are there staff available from miniracing.com? Yes very. The game contains no moving parts and safe low voltage electricity is used. Portable Appliance Testing (PAT) is regularly performed on the electrical supply. UFO dismantles and will go through a regular doorway and into lifts. Setup time is about 40 minutes.